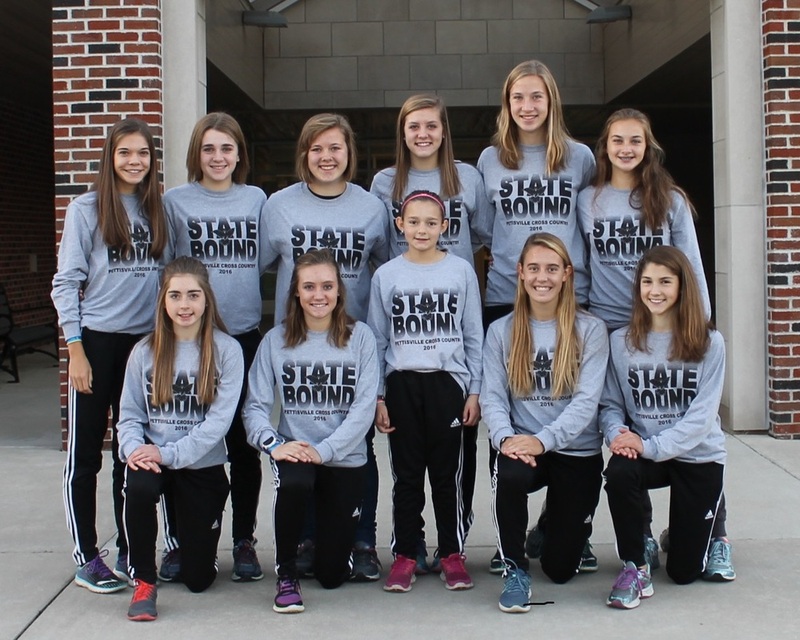 The cross country team had a very successful team run at Regionals on Saturday, October 29, at Tiffin. The ladies were Division III girl’s regional runners up! Minster High School just got by the Blackbird girls, coming in first. Liz Sauder was the fastest Blackbird runner, finishing 13th overall. The rest of the team finished as follows: Nichole Foor finished 14th, Alexa Leppelmeier finished 20th, Kate Stuber finished 59th, Kelly Miller finished 61st, Morgan Leppelmeier finished 62nd and Sarah Foor finished 95th. Senior Alexa Leppelmeier was asked if she was nervous about the meet. Alexa answered “Not really. I am more excited than nervous because I get to run my last HS race with my amazing team competing against the best runners in Ohio.” The team made their long bus ride down to National Trail Raceway on Friday, November 4. The OHSAA Cross-Country State Championship races were on Saturday, November 5. Pettisville came away with a 4th place finish! There were a total of 181 runners. Pettisville runners finished as follows: Liz Sauder finished 21st, Alexa Leppelmeier finished 26th, Nichole Foor finished 39th, Morgan Leppelmeier finished 104th, Kate Stuber finished 108th, Kelly Miller finished 114th, and Sarah Foor finished 174th. Freshman Sarah Foor was asked what her favorite part of the trip to state was and she said that “the bus rides to all the places they went and the team dinner Friday night at Olive Garden." Congrats to the team on another successful season. Special shout out to seniors Alexa Leppelmeier and Krystine Davis for a great final season.